To many of us in the world, bacon belongs to a higher realm that most meat products. It’s the Holy Grayle of flavor giving awesomeness! I love bacon and have used it in many recipes, such as fresh green beans, BBQ beans, tomato sauce, salads, soups, greens, beets, really so many recipes! Bacon makes almost everything taste better! Though my love for bacon has never waned, my ability to eat bacon has. My sensitivity to inorganic food substances has gotten much worse with time. Right now, the number one reason I can’t eat cured meats is my Thyroid issues. It seems that nitrates and sulfates have horrible effects on your thyroid. Mine swells up and literally closes off my breathing. Preservatives also bother my asthma, as well as causes me to feel anxiety and stress, not to mention the swelling of feet, legs, and hands. I have come to understand that most preservatives are not natural and are created in labs. My body has suffered from fake food for over 25 years and has forced me to stop eating it. Below are three reasons not to eat cured bacon and meats and try to buy uncured, natural products. The number one reason not to eat cured bacon and other processed meats is that they can cause cancer. The information out there that cured meats cause cancer. Many studies have been done, and cured meats have raised many red flags all over the eating field. In fact, many types of research have placed processed meat in the same category as plutonium. Now that is a bit scary, wouldn’t you say? We have to remember that our bodies do not know what to do with fake and inorganic food substances. After a while, it makes your body sick, tired, inflamed and cranky. The number two reason not to eat cured meats, including bacon is that it can bother people with asthma and breathing issues. Nitrates and sulfates, as well as citrus acid, are receiving some unwanted attention in the world of asthma and lung illnesses. The research I have read goes as far as saying that these type of preservatives have caused many asthmatic deaths. If you or someone in your family suffers from breathing issues, stick to uncured bacon. The number three reason not to eat cured meats is allergies. More and more evidence is coming forward about people having allergic reactions to the preservatives they use in cured meats, such as bacon. In many cases the person who ate the cured meats had never had a reaction before. Uncomfortable symptoms such as hives and itching to the extreme cases of throat closures. It seems that the body has reached its limit on these toxins and can no longer process them. With uncured meats having more of a presence on the grocery shelves because of some of the masses of human beings waking up to the fake food syndrome, you have some choices. I prefer the thick cut type. Uncured bacon has a different texture and taste, and the thick cut bacon seems to hide the difference, so to speak. Make sure to read the label and check if its an all natural product. While you’re at it take, take some time and discover the uncured lunch meats, hams, and dried sausages. Yes, they are high in sodium and fat, but a much better choice when your craving a bit of naughty food. 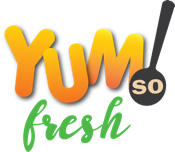 For natural and clean food recipes, tips, videos, and lessons go to our food site at www.yumsofresh.com/freerecipes.